First of all, the holding time of mould during extruded aluminium sections production is usually 2-3 hours, but not more than 8 hours. Otherwise, the hardness of nitrided layer in the working zone of mould will be reduced, which will lead to the surface roughness of profile material caused by non-wear resistance and serious defects such as marking. After mold unloading, the mold temperature is above 500 °C. If soaking in alkali water immediately, the temperature of alkali water is much lower than that of mould, and if the temperature of mould drops rapidly, the mould will easily crack. The correct method is to put the mould in air at 100 °-150 °C and then immerse it in alkaline water. Second of all, to extend the life of mould scientifically, it is important to use mould to produce reasonably. Due to the extremely bad working conditions of the extrusion mould, reasonable measures must be taken in aluminium profile production to ensure the structure and properties of the mould. In addition, at the beginning of the service period of the mould, the structure and properties of the inner metal are still floating. During this period, a low strength operation scheme should be adopted in order to make the mould transition to a stable stage. The last but not the least, the aluminium extrusion supplier should strengthen the use and maintenance of mould during extruded aluminium sections production, improve the track record and management of each set of moulds. Extrusion moulds from aluminium extrusion company acceptance to mould end of end-of-life, which may takes a few months, even longer than one year. Basically speaking, the mould use record also records each process which the aluminium extrusion die is produced. 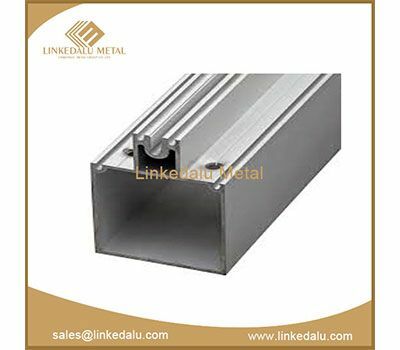 What’s more, before the extruded aluminium sections production, the section of the extruded aluminium sections should be fully calculated, and the tonnage of the aluminium extrusion die should be determined according to the complexity of the section, the size of the wall thickness and the extrusion coefficient.